Montpellier boss Mohed Altrad has revealed that former All Black Aaron Cruden wasn't what the team expected. 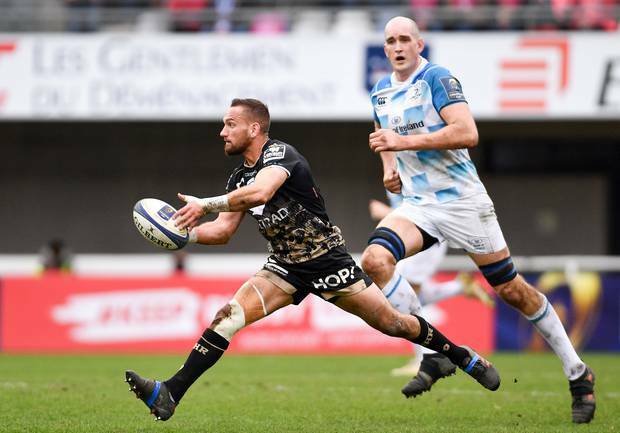 The Syrian-born billionaire businessman, who is also a published novelist, appears disappointed with injury-laden Cruden, who joined Montpellier in late 2017 for a reported $3.6 million over three years. The 30-year-old first-five has struggled with injuries since moving north, and has only played one out of six European games this season and just half of the Top 14 fixtures for Montpellier. In a Q&A interview with French rugby website Rugby Rama, Altrad said Cruden had not produced the "sparkling performances" the French club had expected. "Our outside half, since he's here, keeps hurting himself," he said. "This season he has been injured four times. It is difficult for him to be efficient. We hoped for something else." Montpellier themselves have struggled since losing the grand final last season to Castres – they are ninth in the Top 14 and failed to make the European top eight after falling behind Edinburgh in their group. Altrad was, however, more complimentary of another Kiwi, Montpellier head coach Vern Cotter. When asked by Rugby Rama if he was satisfied with Cotter, Altrad said: "Yes, he is someone who has proved [himself] a lot in Scotland at at [French club] Clermont. He brought us to the finals." Altrad also said that he trusts Cotter and didn't blame the Kiwi coach for this season's unfavorable results. "Is it his fault if we are penalised thirteen or fourteen times against Edinburgh?" he said. "Vern Cotter has proven himself and I trust him." The 70-year-old businessman said he was confident that the club has progressed under his stewardship, but admits this year hasn't gone to plan. "I would like to say that since I was there, in 2011-12, the club has progressed, right? "We have regularly finished in the top six. We are a young club, the youngest of the Top 14. We are writing our own story. But this year, I admit, the page is not completed."